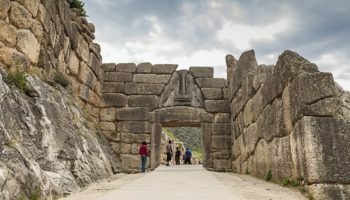 Greece is a diverse, country, and it is impossible to experience Greek culture by visiting a single destination. 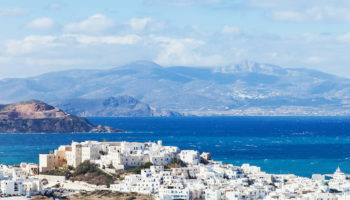 Instead, a private island hopping tour can be the best way to see everything from the bustling capital to the stunning Cyclades in a convenient trip. 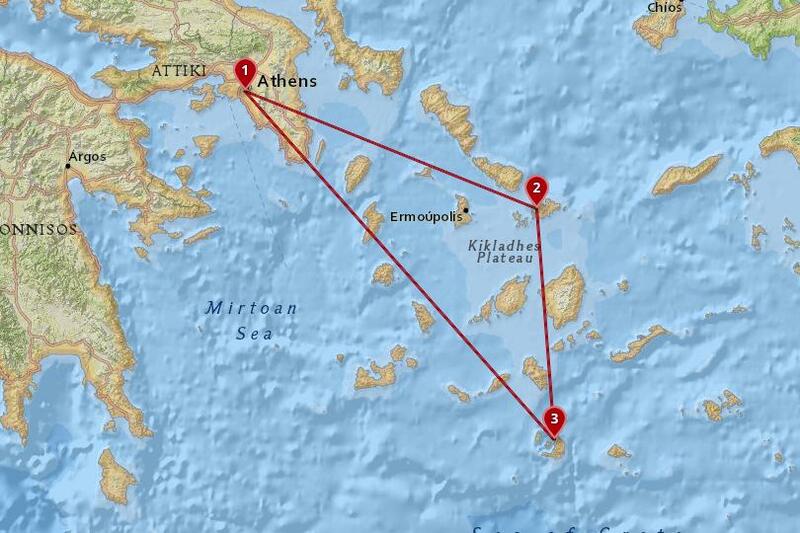 Over 10 days, you will be transported to Athens, Santorini and Mykonos. 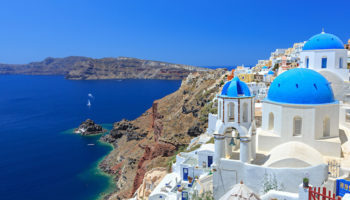 With experts handling the logistics, you can focus on visiting some of the most historic landmarks in human civilization, relaxing on scenic beaches and exploring the vibrant culture of Greece. 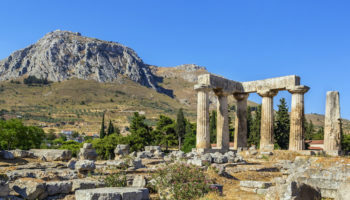 Athens is one of the most popular places to start a trip through Greece simply because it is home to the country’s largest airport, the Athens Eleftherios Venizelos International Airport. On arrival you will be met by an assistant and transferred to your hotel. Rest of the day at leisure. 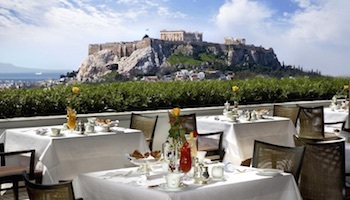 In the morning, you’ll start the day with a sightseeing tour of Athens’ most famous sights. Undoubtedly, the most famous attraction in Athens is the Acropolis, the ancient high city that was built to honor the goddess Athena. 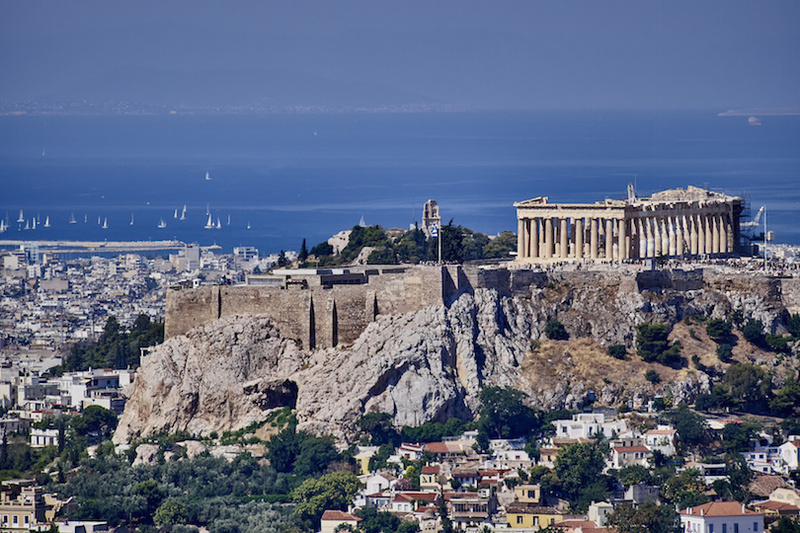 At the Acropolis, you’ll have amazing views over Athens, and you can also see the 2,500 year old Parthenon, the Propylea and the Temple of Athena Nike. You can also see the Ancient Agora, and its remarkably preserved temples, that offer views of the Acropolis itself. At the New Acropolis Museum, exhibits reveal the amazing history and heritage of the Acropolis as well as the city of Athens. A taxi waits to take you to the port of Athens, where a ferry will bring you to the stunning island of Mykonos. On arrival you have a transfer to your selected hotel for a 3 nights stay. 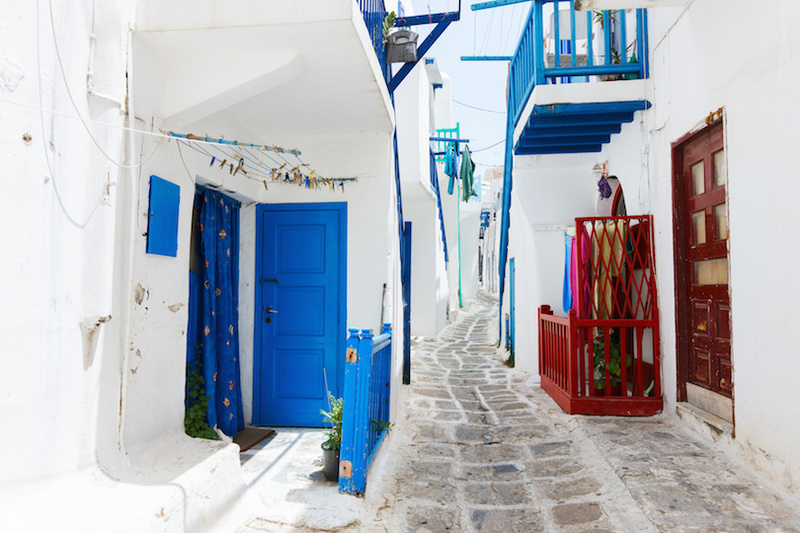 One of the Cyclades Islands, Mykonos is a cosmopolitan island that blends amazing scenery with incredible history. 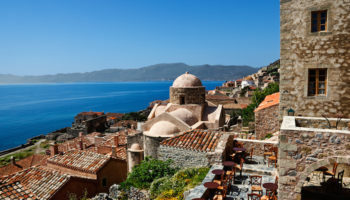 There are several beautiful churches on the island, but the most famous is Panagia Paraportiani. This structure dates back to the 15th century, and its bright white exterior and Byzantine style makes it a treasure for locals and visitors alike. 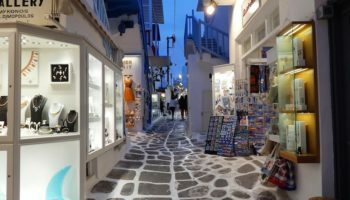 After sunset, make your way through the whitewashed buildings and winding lanes of Mykonos Town and enjoy the lively shopping boutiques, restaurants and incredible nightlife at the dozens of bars, clubs and lounges that operate until dawn. Mykonos is also a beach destination, and there is no question that one of the top things to do on the island is find a beach and relax. Elia Beach is one of the most popular, and you will find lots of vendors, tavernas and sun loungers lined up each day facing the blue ocean. If it is snorkeling you’re after, head to the western coast and check out Agios Ioannis, a less crowded beach with clear water and plenty of underwater life to admire. Mykonos makes a great home base for an optional half-day trip to the island of Delos, the birth place of Apollo and Artemis in Greek legend. 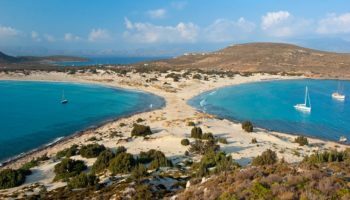 Delos is uninhabited, and daily ferries can take you there from Mykonos for the chance to explore the ruins. 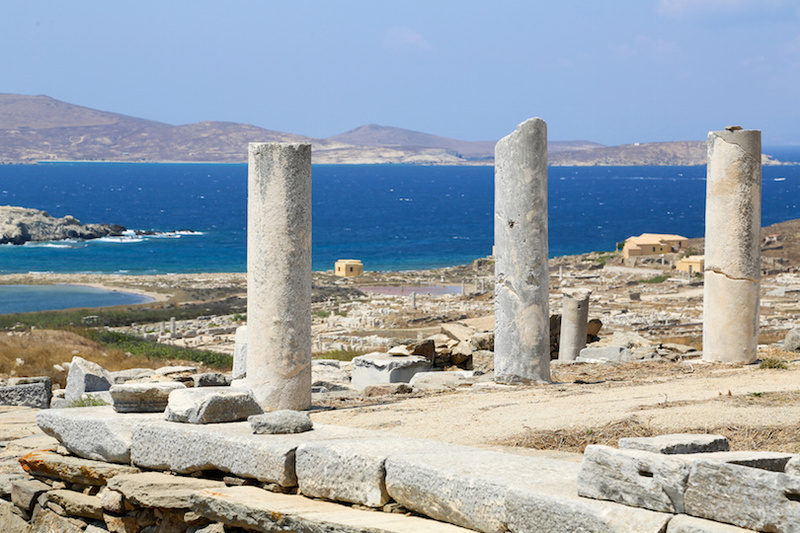 While in Delos, you will be able to see the three temples dedicated to Apollo, the Terrace of the Lions and Cleopatra’s House. Enjoy a hassle-free transfer from your Mykonos hotel to the port for your ferry ride to Santorini, a destination known around the world for its stunning sunsets and romantic atmosphere. On arrival you will be transferred to your hotel for a 3 nights stay. One activity you can’t miss is watching the sunset from a cliffside village. Fira is the hub of the island, located on a caldera that overlooks the ocean. For an unforgettable evening, find a restaurant where you can dine al fresco and watch the sunset from your seat. In Fira, you can also ride cable cars taking you from the old port to the main town. Santorini’s beaches are certainly unique, and there are plenty to choose from. 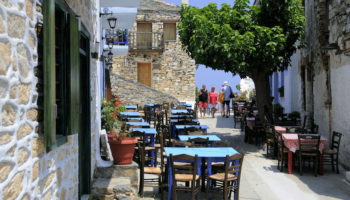 Kamari, for example, is a black pebble beach, and bars and tavernas line the coast for midday snacks or drinks. 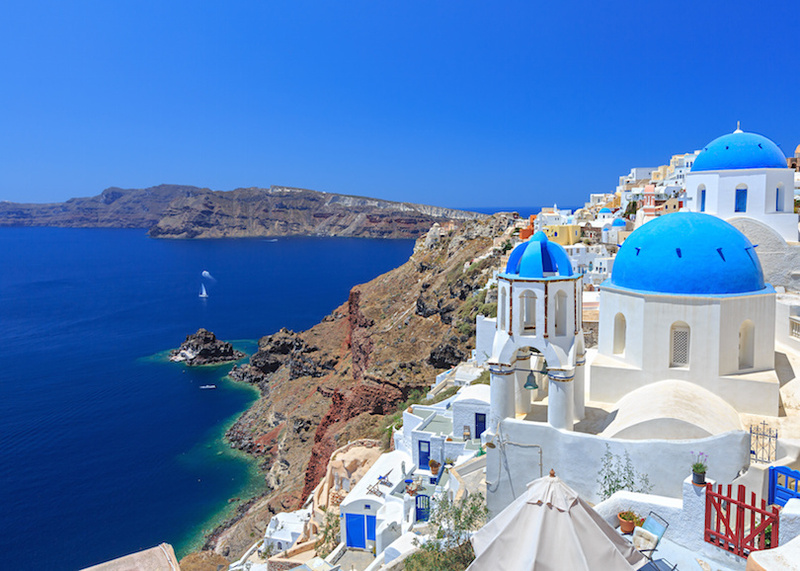 In between admiring the white buildings and the churches capped with blue domes, be sure to dig into some of the famous cuisine of Santorini. White eggplant is an unusual local specialty, and whole fried tomatoes are often featured on Mykonos menus. Local wine is also delicious, thanks in part to the volcanic soil of the island. 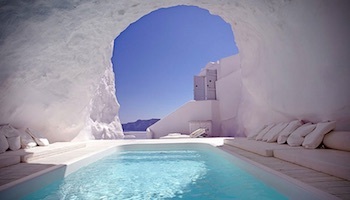 Enjoy another free free day on Santorini. 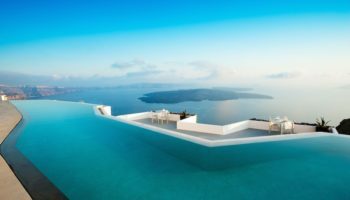 Parts of the draw to Santorini include its changing landscape, cliffs overlooking the sea and stunning white architecture. There are endless hikes and several wineries. 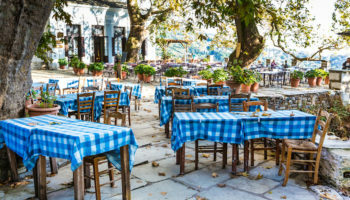 You can also dine at a taverna and enjoy local specialties like fried tomato balls or stuffed vine leaves. 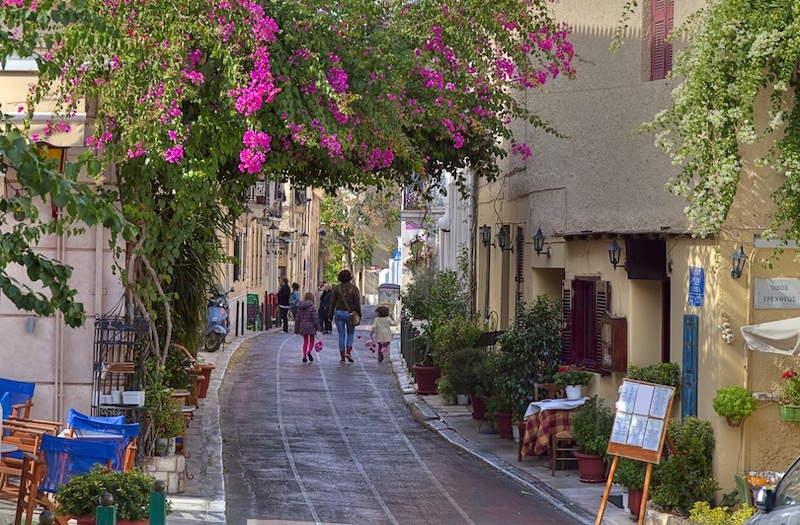 Round out your island hopping in Greece with a final night in the capital city of Athens. Enjoy a carefree transfer from your hotel in Santorini to the port to embark on the ferry to Piraeus. On arrival you will be transferred to your hotel. Since you’ve already experienced the must-see attractions of Athens, head to Syntagma Square, the modern heart of the city. In Syntagma Square, take some pictures of the Hellenic Parliament Building, which are guarded by evzones, or Greek soldiers wearing kilts and red hats. Just behind the parliament are the National Gardens, a great place to sip a cool drink and relax after sightseeing. Round out your stay at the National Historical Museum, where you can view the very first Greek Constitution, among countless other artifacts and historic documents. You will be met by an assistant at your hotel and transferred to the airport by Fantasy Travel’s taxi driver for your departure flight.